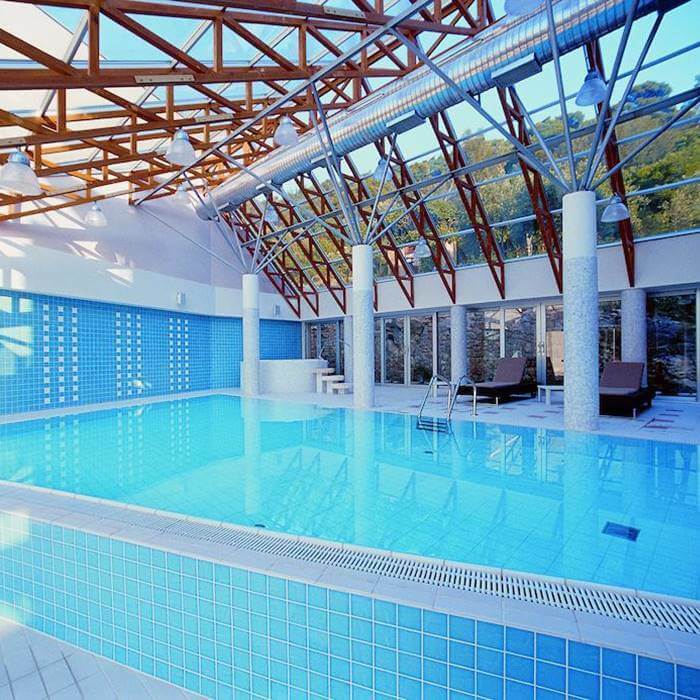 Book your luxury holiday to Croatia at Hotel Uvala located on the lush green Lapad peninsula. This 4-star hotel is an inviting spa retreat surrounded by beautiful beaches. 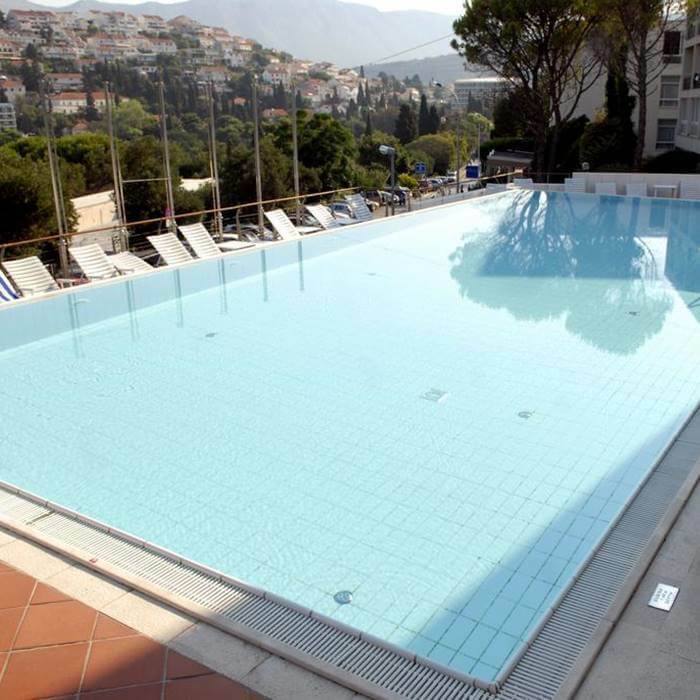 The hotel is tucked into a hillside on a peaceful and quiet location. The hotel’s small size give it a friendly and intimate feel. 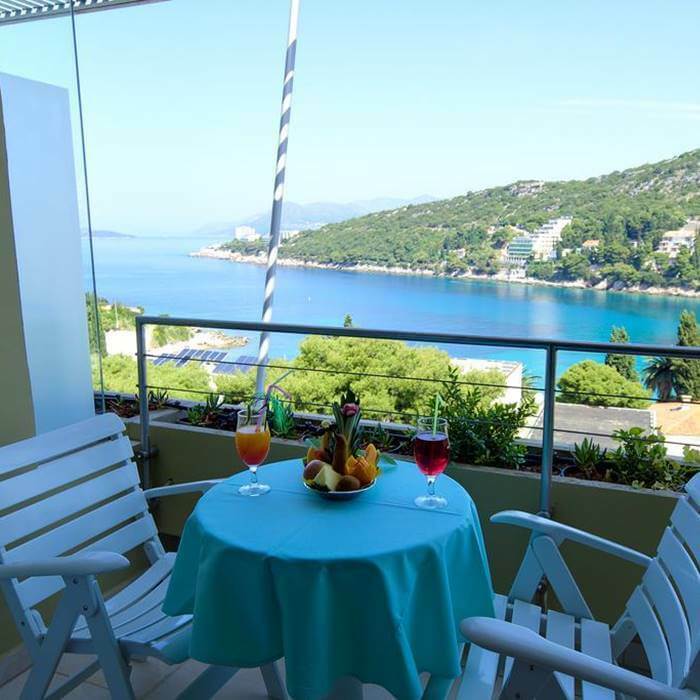 Hotel Uvala is located on the Lapad peninsula, a charming peninsula that offers many beautiful beaches and a romantic promenade that connects them all. The closest beach lies just 70m from the hotel. A variety of water sports can be tried in the Lapad bay and you will find plenty of cafes, restaurants and shops nearby. 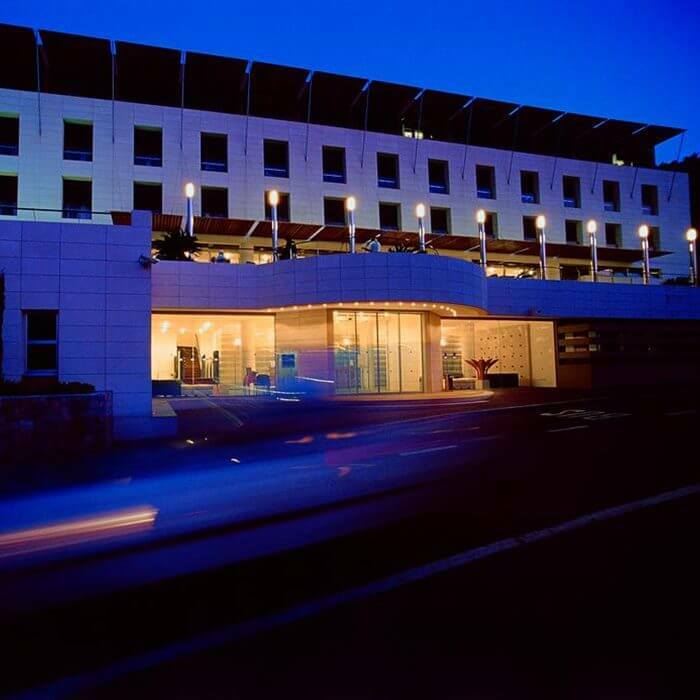 Hotel Uvala’s quiet location makes it a great place for guests who like to relax in a peaceful accommodation after spending time in the vibrant and lively city of Dubrovnik. The rooms are decorated in warm colours and offer comfortable furniture. 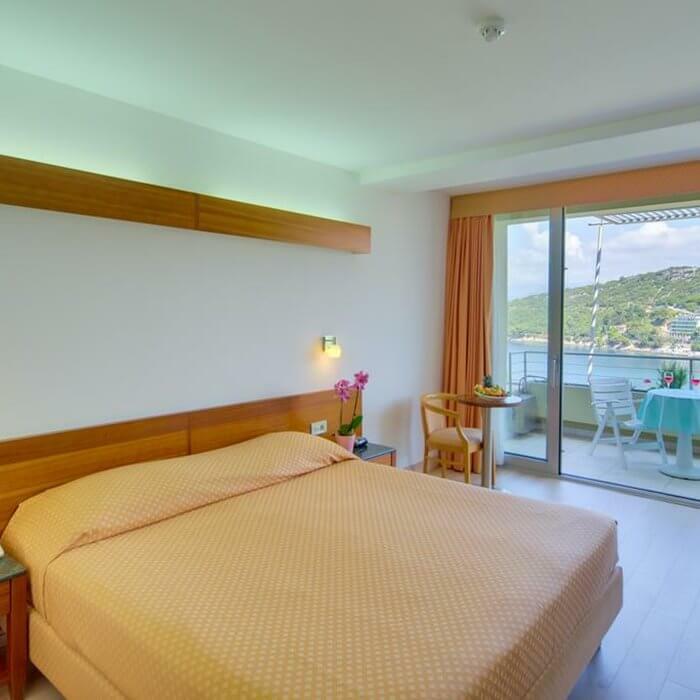 Each room has a balcony and most of the rooms also offer sea views. 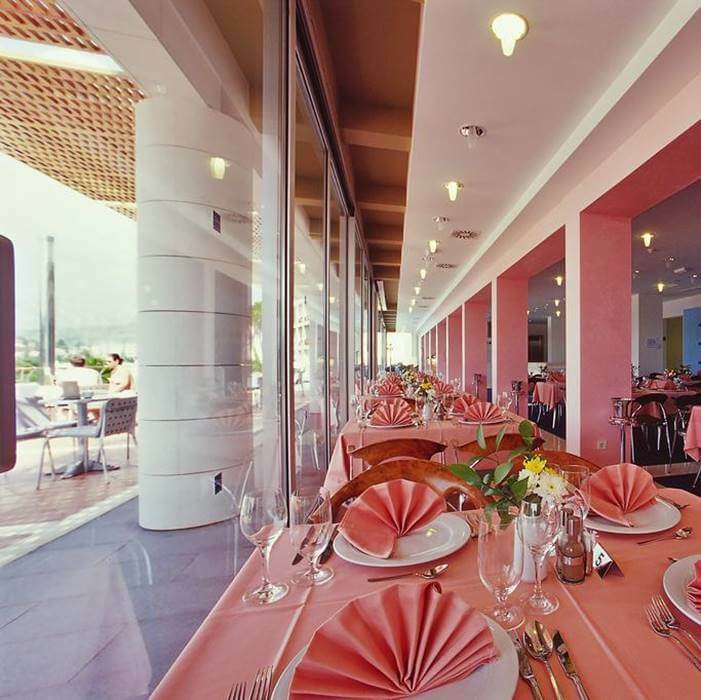 International and local dishes are served in the buffet restaurant Mantala. Macrobiotic dishes are also available, to complement the hotel’s focus on health and wellbeing. During the summer season, a themed culinary evening is organised once a week, where guests can enjoy local specialties. Coffee, cocktails and aperitifs are served at the Rozolin liqueur bar. A must try is the bar’s signature drink, a sweet liquor made out of rose petals. The spa and wellness centre offers a variety of treatments that are tailored to its guests’ individual needs, with an emphasis on body relaxation and revitalisation, to make you feel like a new person.